Last seen... cross street, area, neighborhood where most recently seen. Young, looks like newly groomed sandy color dog without collar found in the street on Mortar rock Rd off S. Compo in Westport. Last seen on Wardwell St which is off of Shippan Ave. in Stamford. I got a letter which was placed on my mailbox on Dec. 6 saying that my cat had been found. The letter said that she was with another cat scrounging for food near a some garbage cans outside an eatery. That my cat went running into their daughters arms. They took her to a vet and have named her from Charlie to Muffins. They stated that they are going to keep her and have her always stay inside. It was signed simply The Robinson Family. No first name or address. This is very strange and I do not know if this is my cat or if they even found a cat. It does not sound like the way my cat would behave. Charlie or Muffins is the same cat. She is a two and a half year old female that is mainly black with a white bib. The white continues from this bib into a white stripe that goes down her stomach to her back legs. She has a white spot which is exactly below the middle of her mouth. She is medium haired with yellow eyes and very long whiskers. No white on her nose and her top whiskers near her eyes are not very noticeable. Last seen... cross street, area, neighborhood where most recently seen. We want to thanks everyone that looked for and shared information about Lola. She was found on in a wooded area in Trumbull on Monday afternoon, 5-days after getting away from her dog sitter. Already taken to the vet, Lola lost 2 of her 6 lbs, but aside from temporary dehydration was found in very good healthy. Lola is now at home, resting. Last seen... cross street, area, neighborhood where most recently seen. 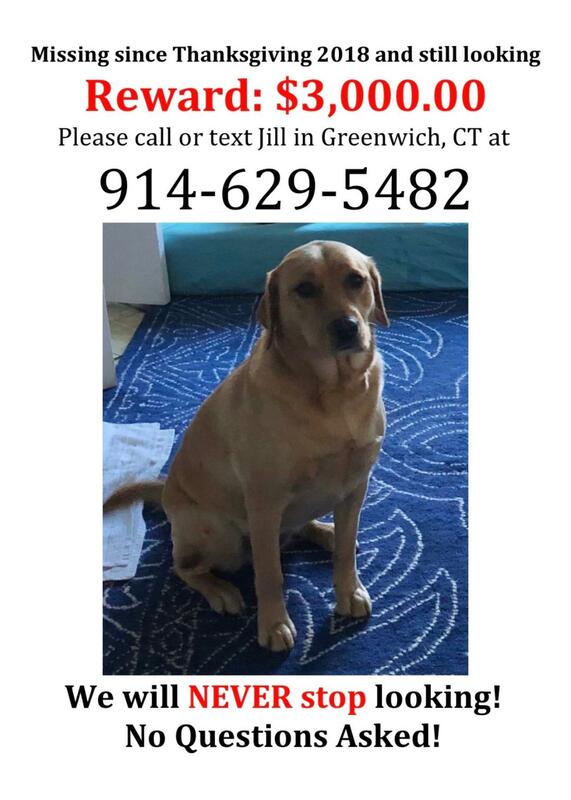 She was last seen on Thursday afternoon (November 30) at 4:00 PM in the vicinity of Bassick Road, Old Barn Road and Randolph Place in Trumbull, CT. Description Lola is 2-years old and 6 lbs. She is black, cream and grey in color.